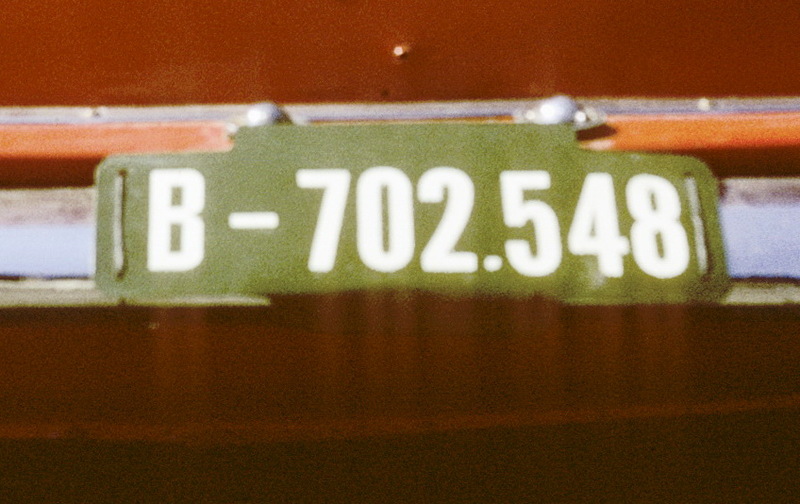 Europlate members may be interested in this Saigon temporary,dated 24-8-1975,that I have recently added to my collection. There seems no mention of this type in RPWO. 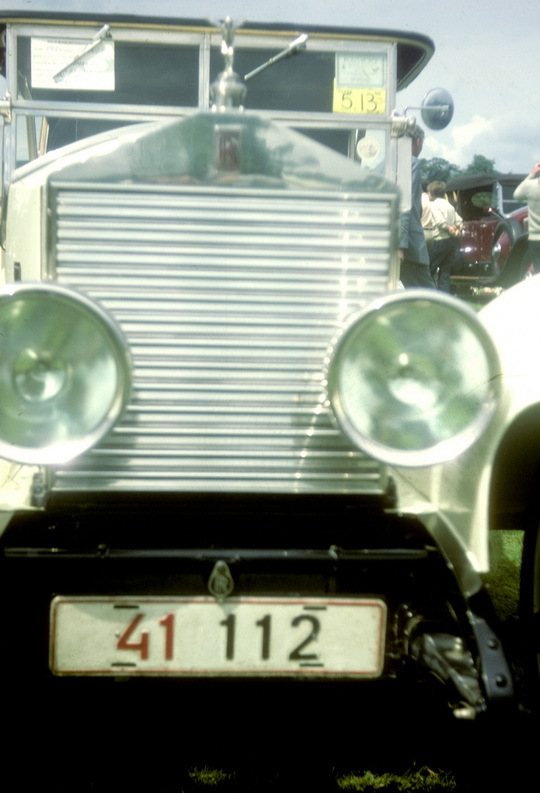 There will be a fuller account of the great period shots gathered by early founder-member Gray, when time permits. 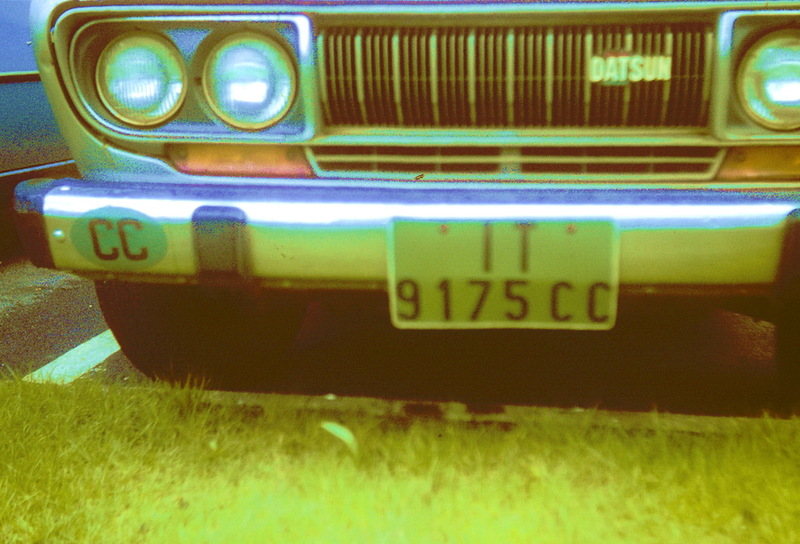 For now, just relish a few picked at random from his newly-digitalised photo transparency slides. 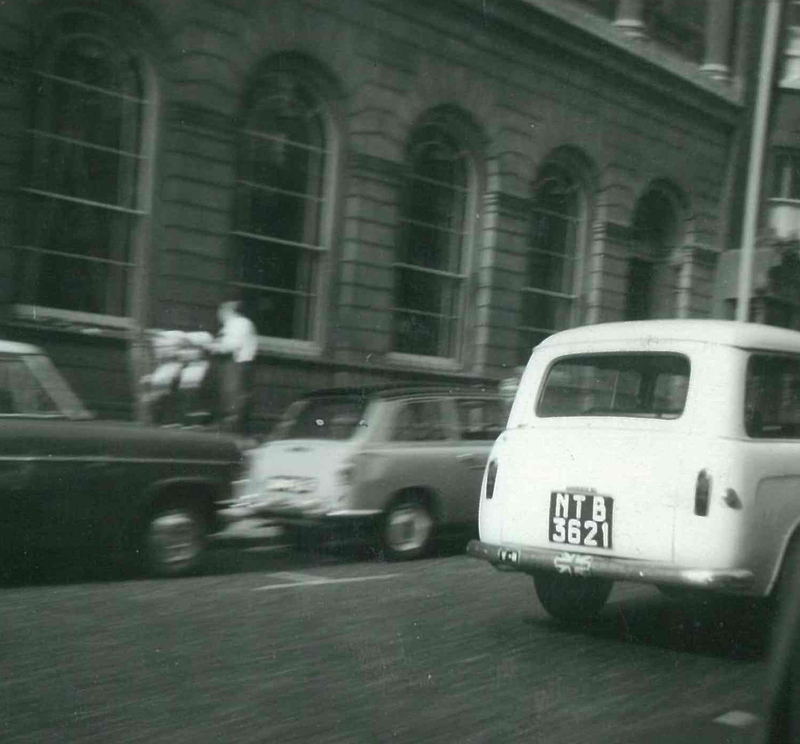 A Mini-Moke in London in the 1960s with the ultra-rare pre-Belize series for British Honduras. 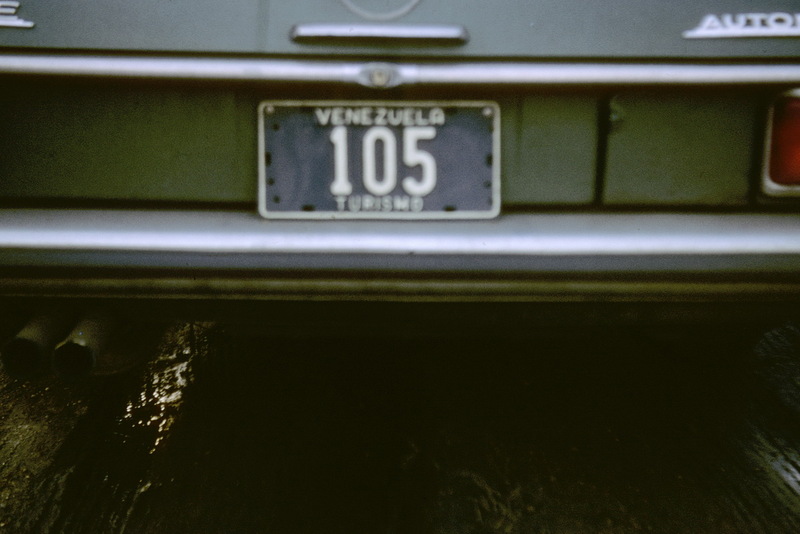 C=Corozal. 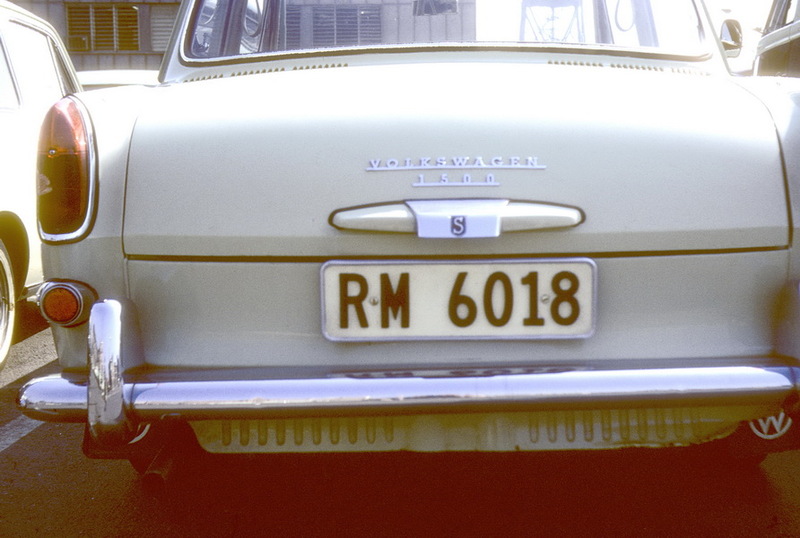 AND with a BH oval, properly manufactured by the RAC. Bet they didn’t sell many of them! Gray archive. 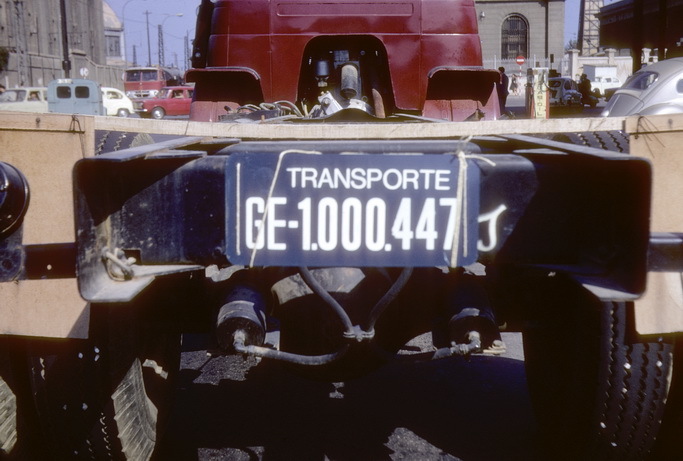 YV – 105 A blue Venezuelan export plate seen in London in circa 1969. Gray archive. 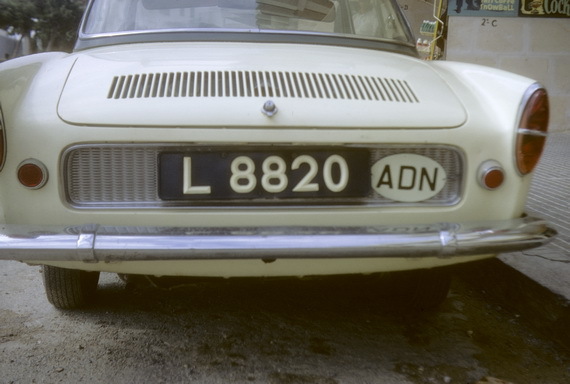 L 8829 ADEN Aden was a moderately-frequent ‘spot’ in the 1960s, due to the active commercial and military establishments in that then-British colony. 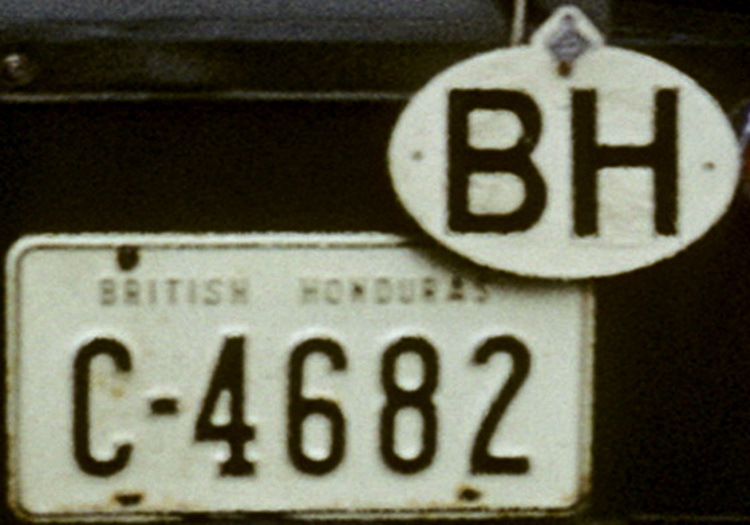 Aden was administered from British India from the 1910s and employed the BI system, with code ADN. 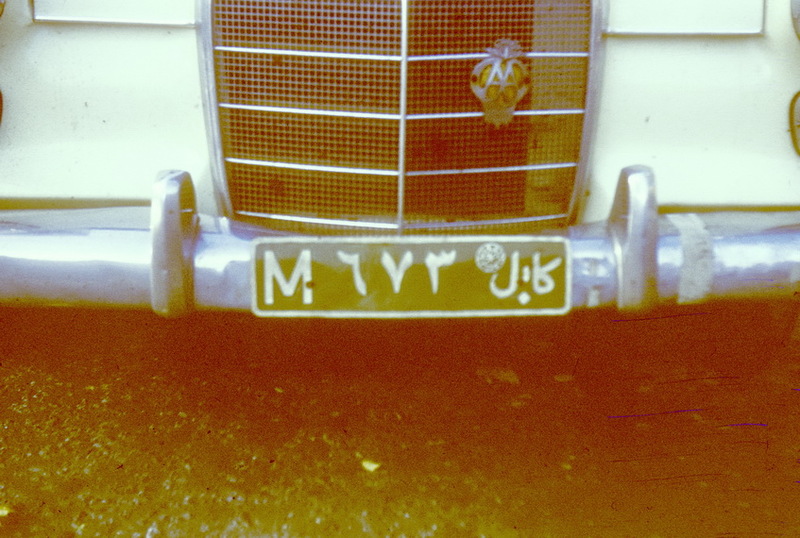 Under later colonial administration, it changed in the 1950s, first to the prefix 2ADN, when, reaching 9999 again, L, then M and N became the leading letters used in the Aden Colony. (No-one knows why those letters were chosen). Independence and the later amalgamation with South Yemen closed down sightings and info from that hot zone, for many years after. 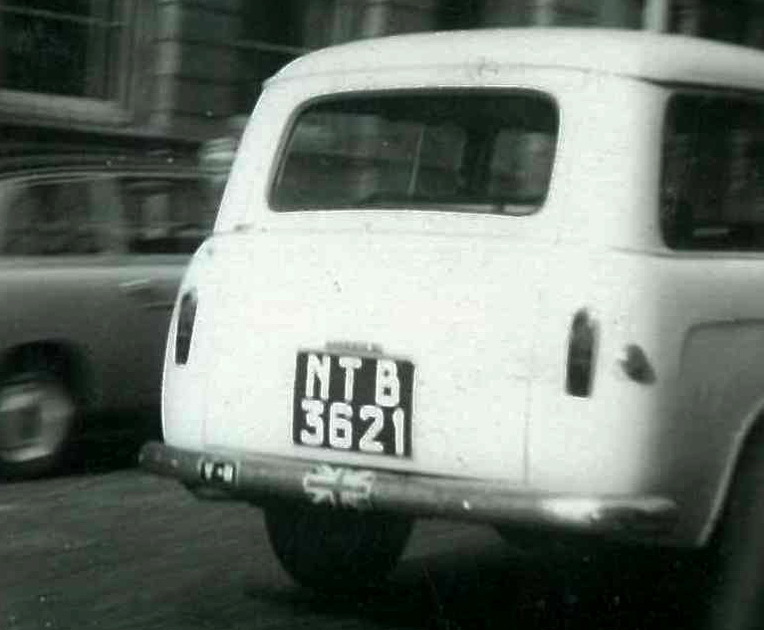 The car is a French Renault Floride, seen in GB. Gray archive. 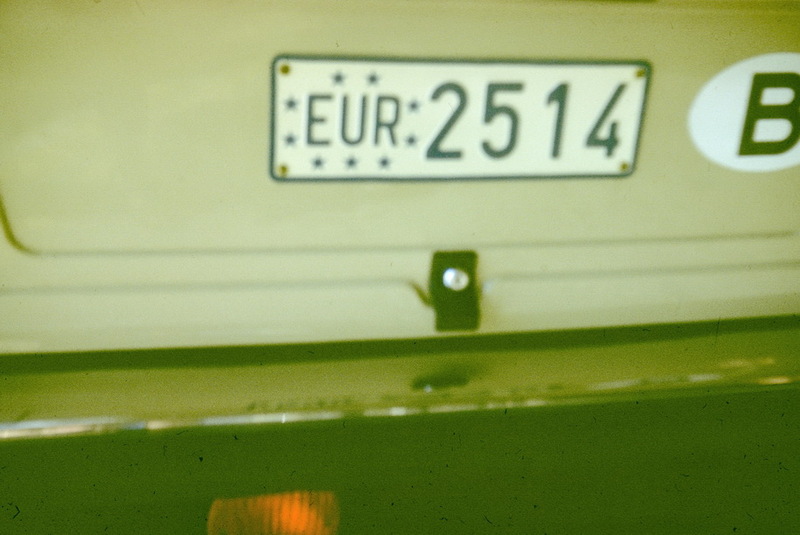 AUSTRIA FOREIGN RESIDENT/EXPORT SERIES. 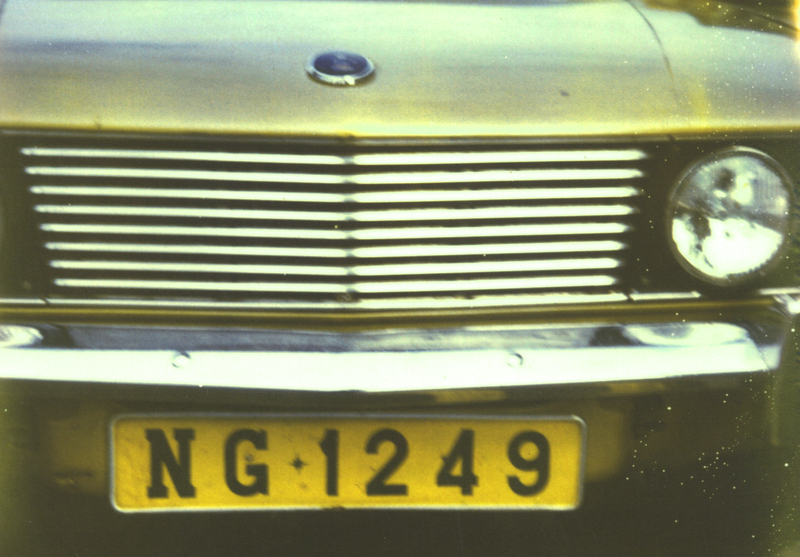 Graz is the registration area for this German-built Ford Taunus 17M, photo’d in Austria in 1973 before leaving for its ultimate export destination. 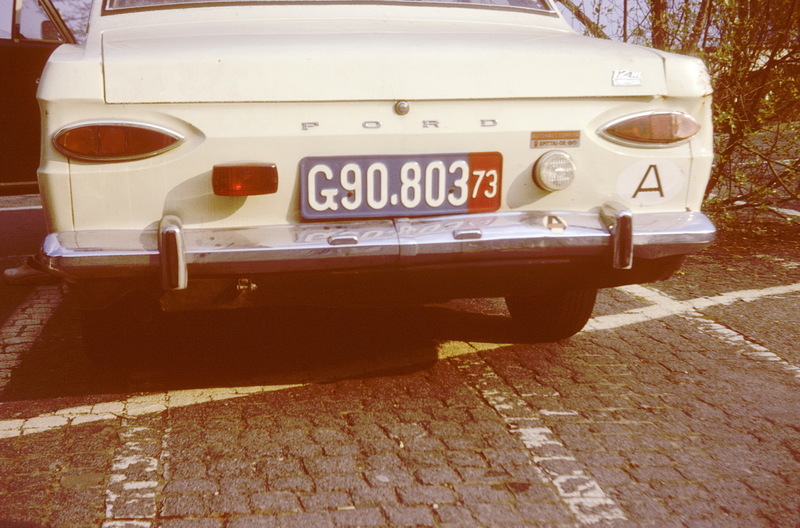 Most European countries offered a facility to purchasers from abroad, to collect their new European car, tax-free, from factory or dealer, to tour Europe for up to 6 months and then return it to the supplier for shipment to their country of origin – or even drive it home themselves. 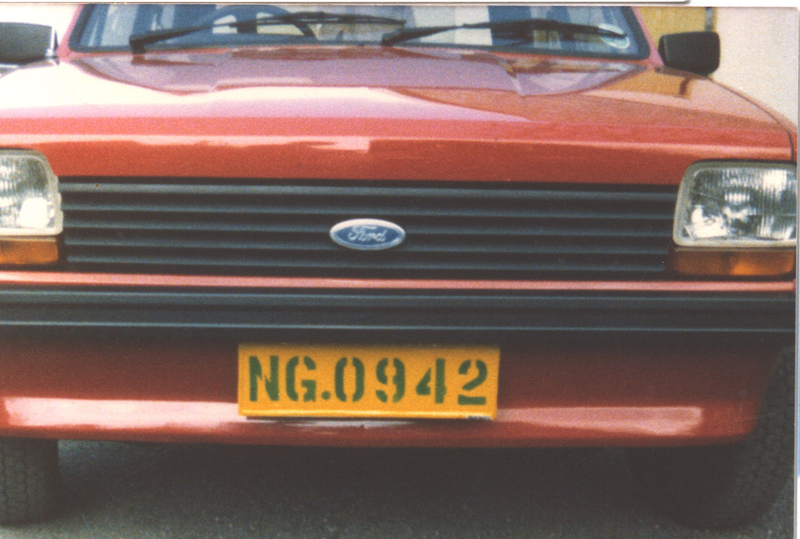 With their acquired mileage they could be imported to their home countries as second-hand cars, so that their local import duties would be lower. 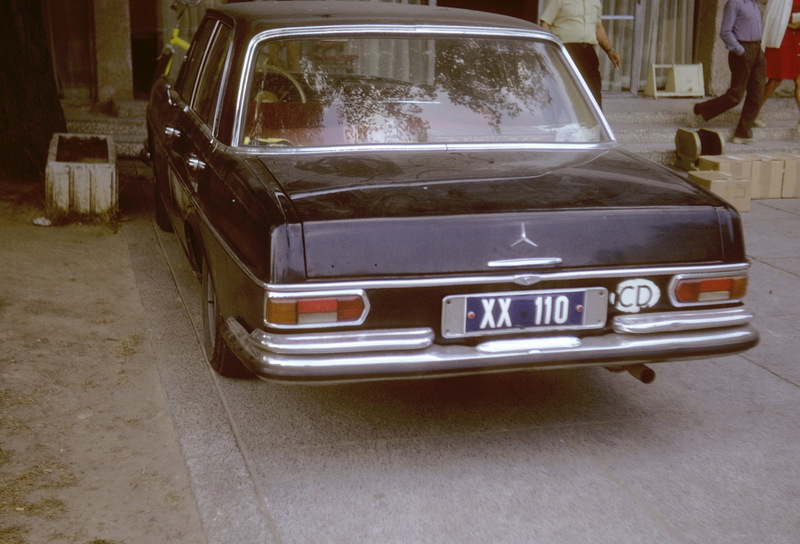 Tens, if not hundreds of thousands of vehicles were supplied under these tax-free schemes. Gray archive. May 2014 q. 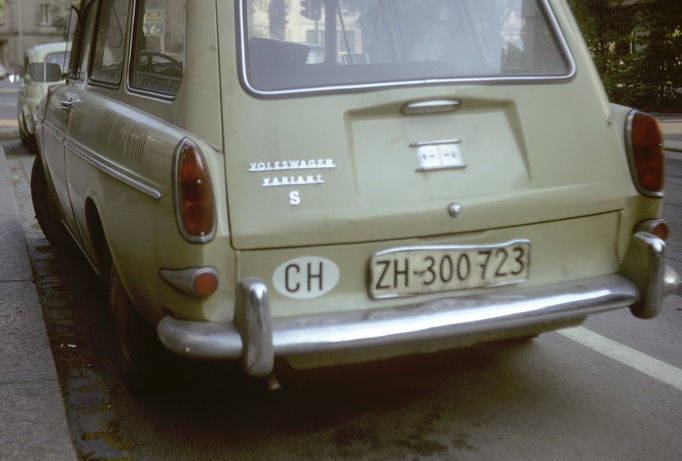 Can anyone say whether this Austrian series was used both for export and for identifying foreigners who came to live in Austria for extended periods, perhaps even with tax-free status? 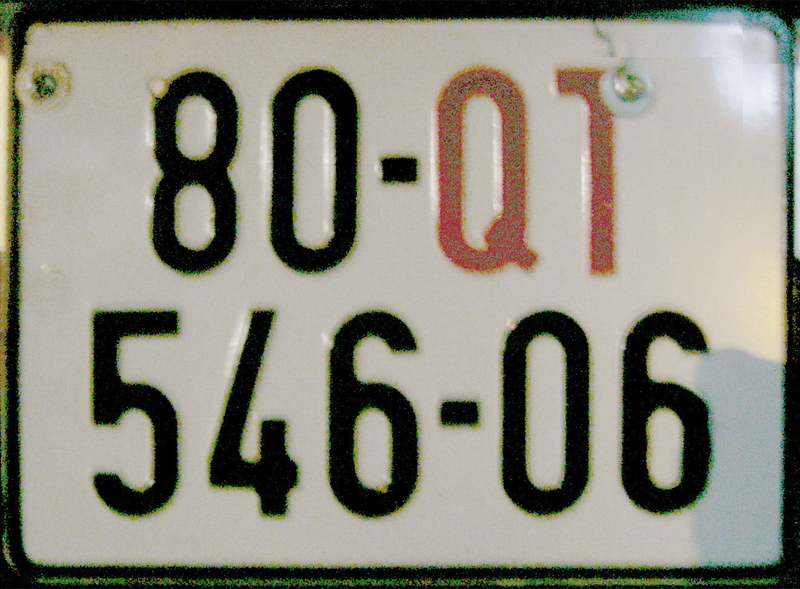 There have always been too many of them around to be only for vehicles awaiting export, it seems……..
2015 — marcellotaverna@alice.it writes: The blue plates with a red dated band are called “temporary registration marks” and they are issued, on request, to “anyone not having his main residence, or legal seat or main facilities in Austria, upon exhibition of the required documents….”. 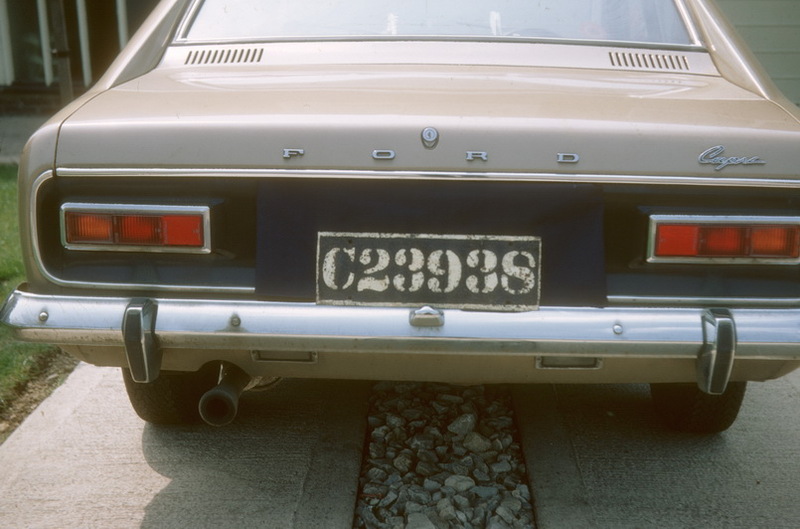 Further “if the vehicle comes from abroad, a valid foreign approval document will be accepted” It seems that these plates are issued to foreign persons or companies, both for export or for temporary import. 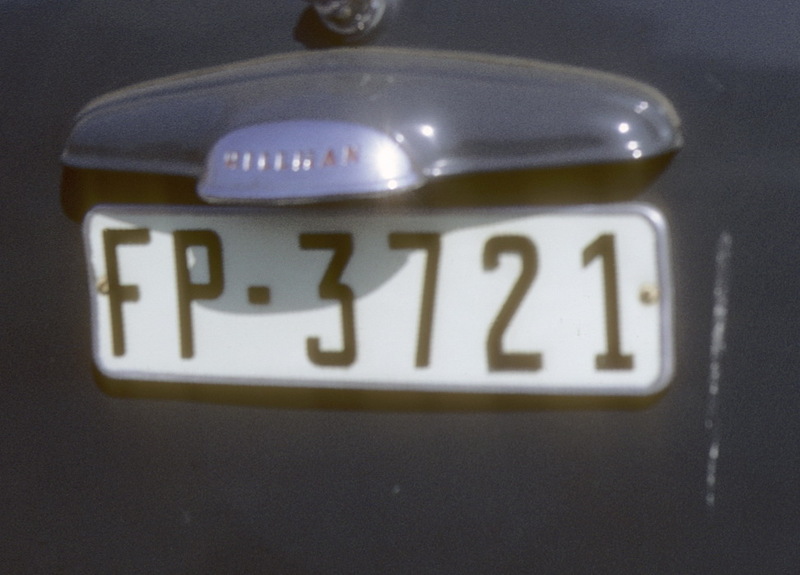 Sf 38-16 — White plates were issued to privileged Party members in pre-democratic Bulgaria. 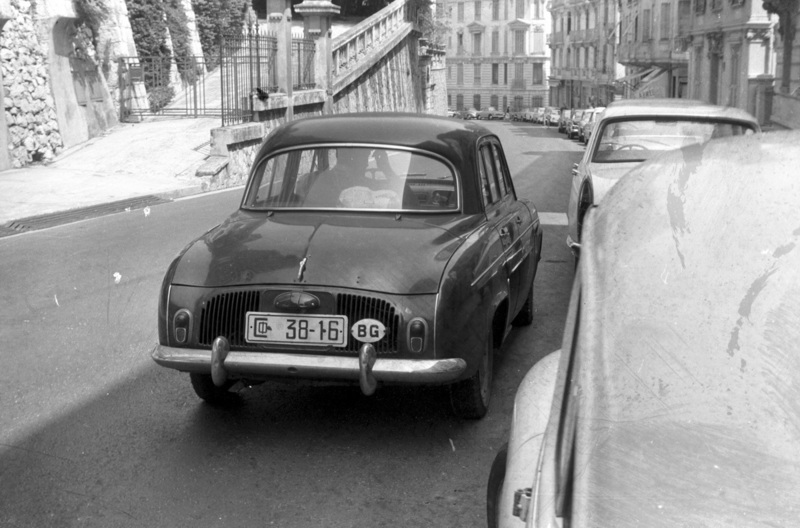 This fortunate citizen had a Sofia-registered Renault Dauphine and was allowed a passport to travel to Monte Carlo, where this picture was taken by member Terry Gray in the 1960s. 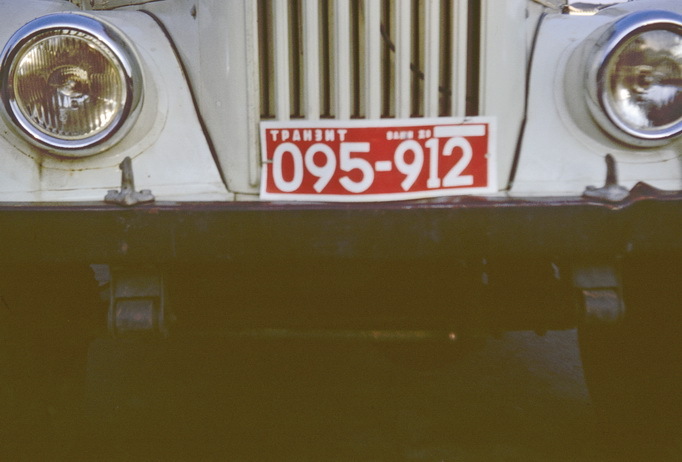 The series used the Cyrillic alphabet and ran from 1958-85. 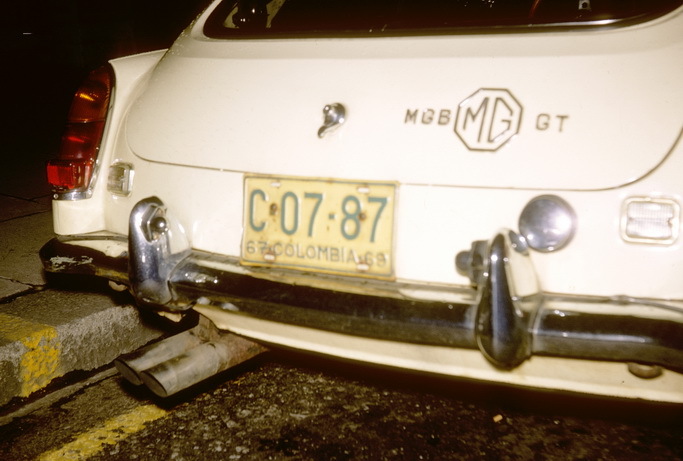 Remarkably, this MGB came to live in London for about a year in 1969, and remains the first and only sighting ever of a Colombian plate in England by Europlate. Members Brumby, Thornley, Gray and Pemberton all reported it separately! 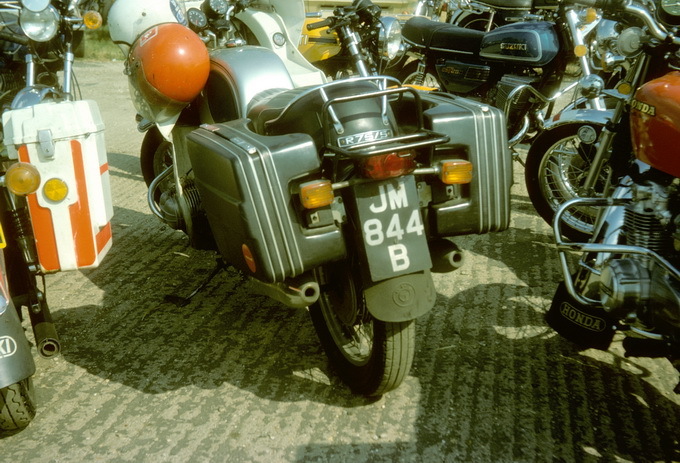 This is the 1967-74 series. .
if YOU have prints or slides of early or rare plates which you would like scanned for your own use and for the pleasure of other members’ viewing, write or email to Victor Brumby (vicbrumby@gmail.com) – or make a comment in the Comments Box at the foot of this page. 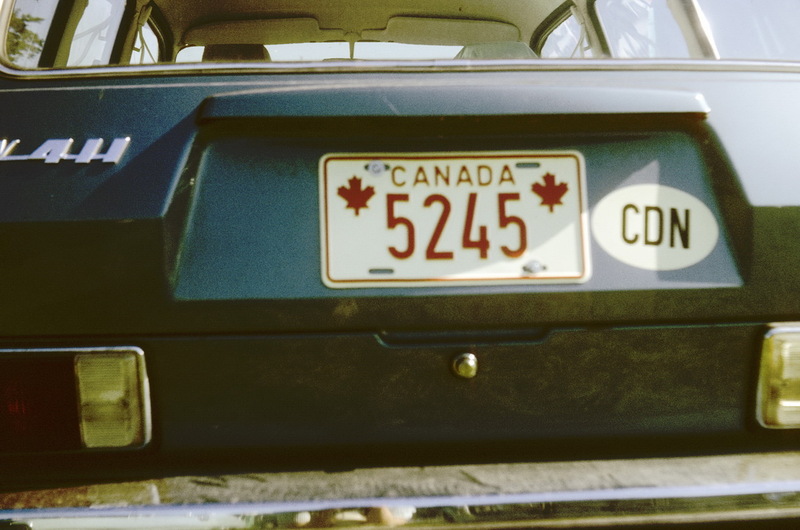 Well – which of us needs THIS identifying? YOU do? 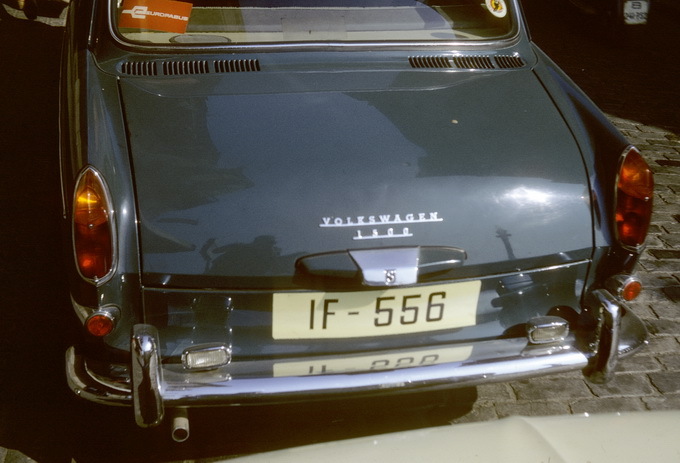 Try French West Africa…… VB archive Francoplaque’s Jean-Emmanuel is quite correct with his answer of SENEGAL, until 1960 French West Africa/Afrique Occidentale Francaise) (AOF) . 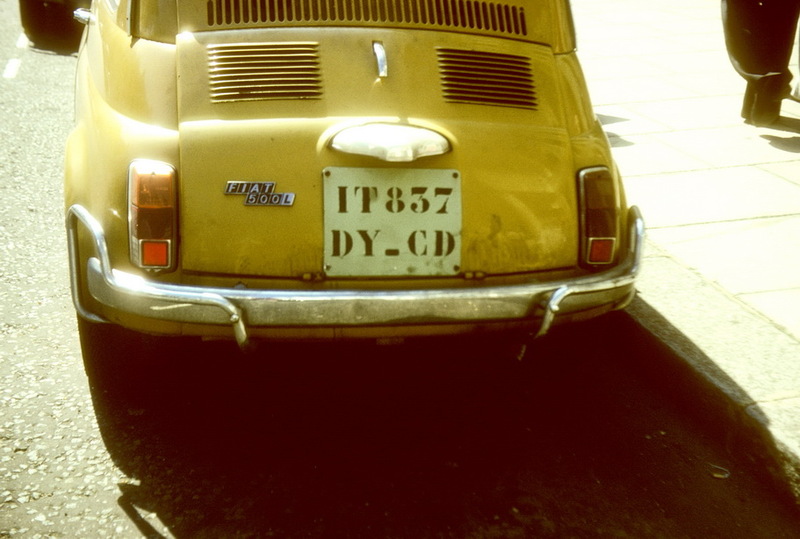 The Citroen 2cv is from area 1 (Cap Vert (Dakar, capital city)) and the letter C is a serial letter, issued before independence in 1960, after which the letter ‘S’ was inserted before the area number (e.g. 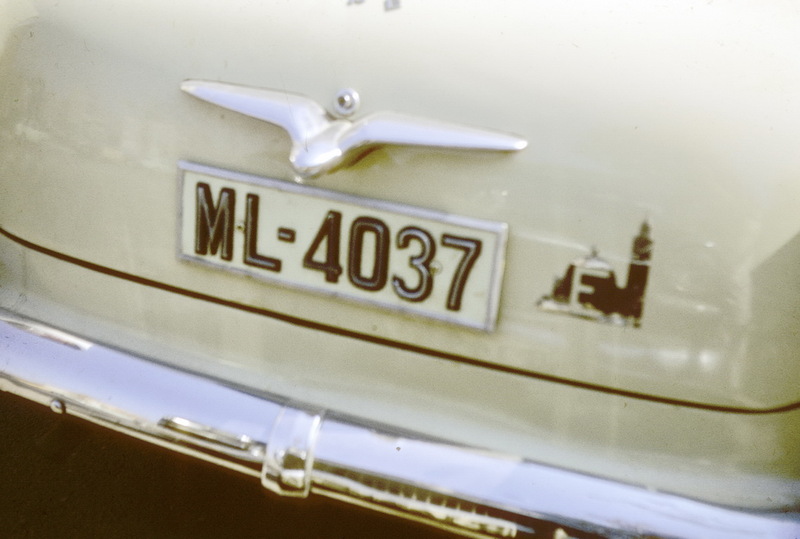 0132 S 1 .C) Fascinating to think that, had the car travelled outside Senegal in those times, it would have carries the unseen(?) AOF international oval. 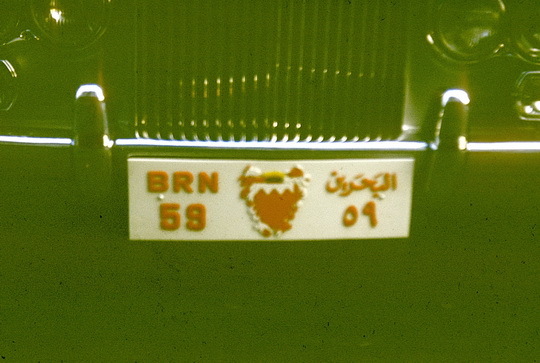 The photo is by non-member Murray Bailey in about 1973, in Dakar. 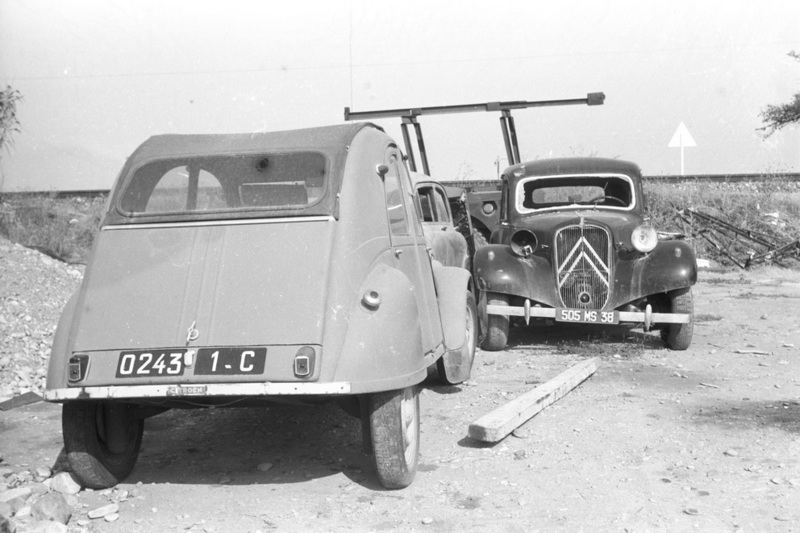 In the background, in a sad state, is a French-registered Citroen Light Fifteen Traction Avant, still carrying its French plates 505 MS 38 (from Isere). 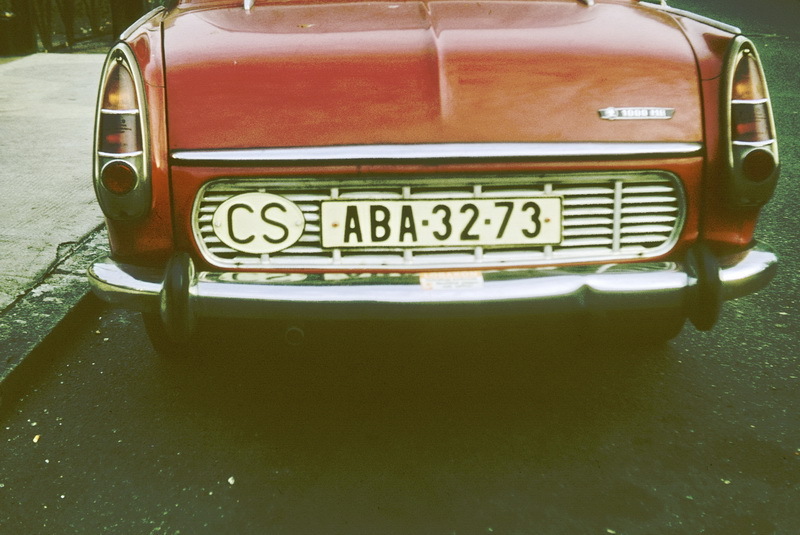 Who took this shot in the 1960s? 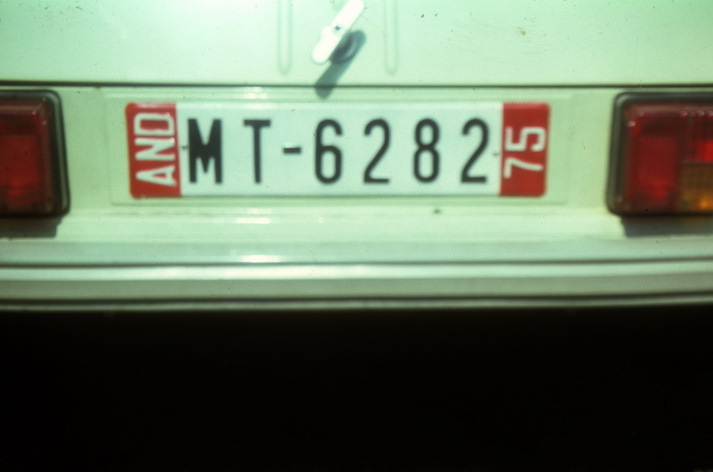 It’s a 1960s-70s white on green Viet Nam foreigner plate, exceedingly rare to sight in Europe. No claimant as at Dec 4 2013! 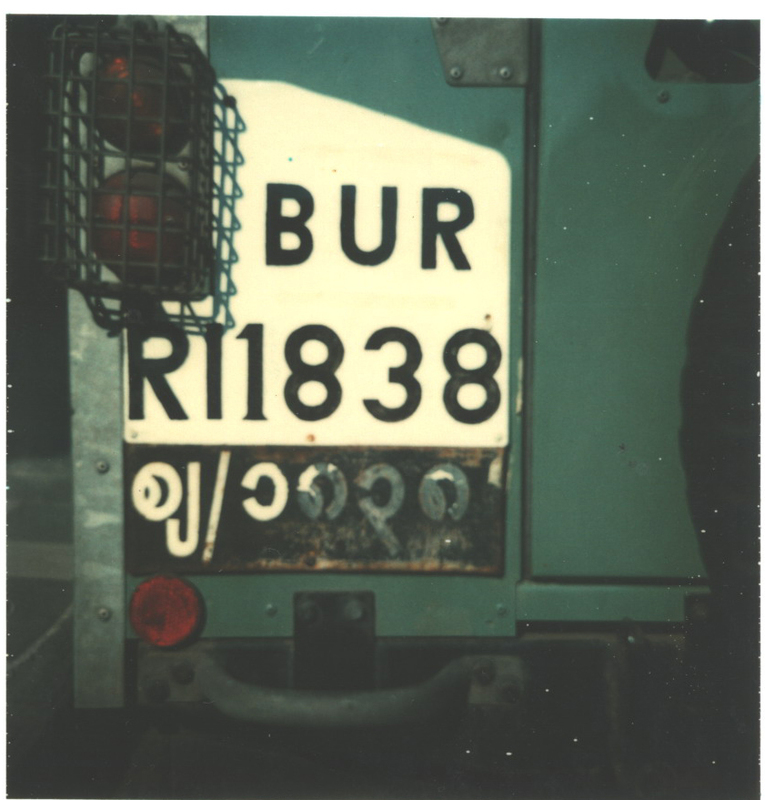 The anonymous picture (with the bumper attached) came to the Blog via Jim Gordon in West Oz, but Jim says it was not he who took it……. 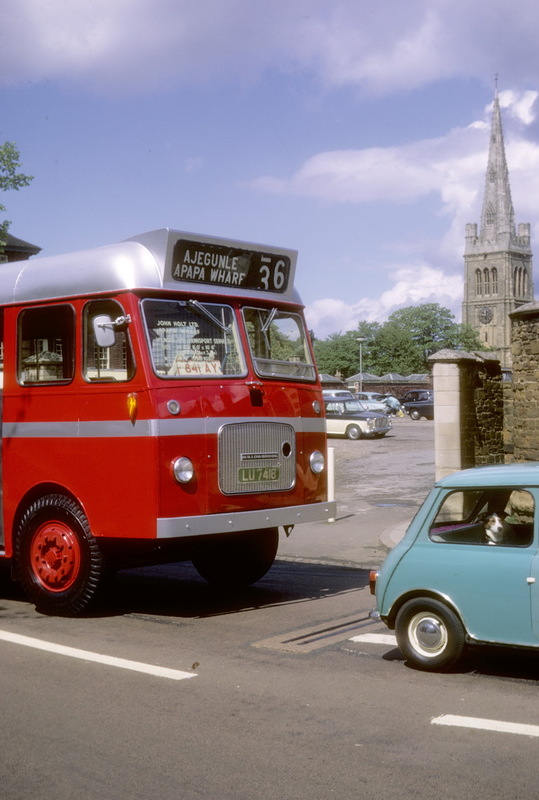 Taken by an anonymous cameraman, seemingly in London during the 1960s, we believe. 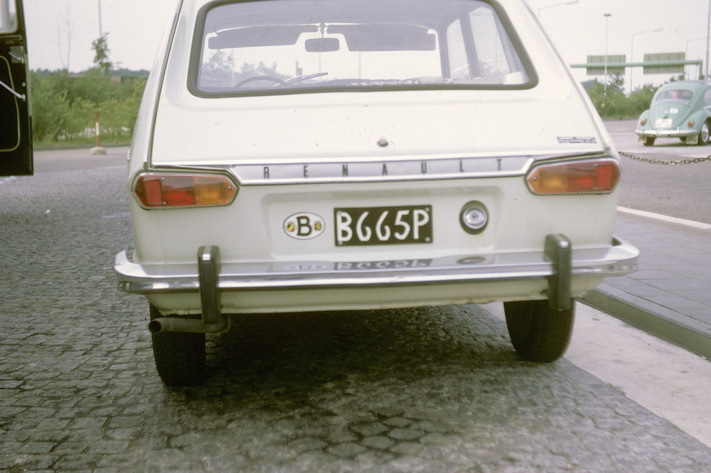 On a Hillman Husky. 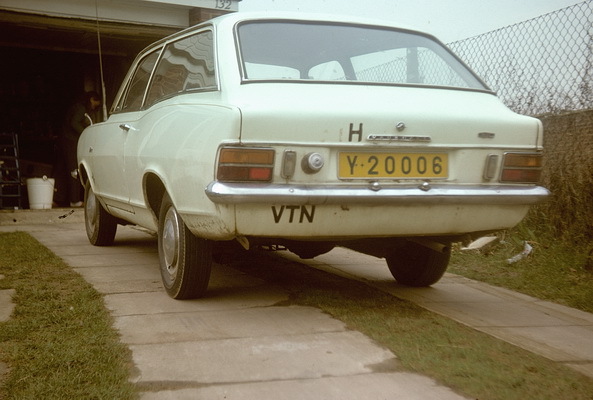 This anonymous shot shows the Hillman Husky bearing a home-made VN oval on the bumper. 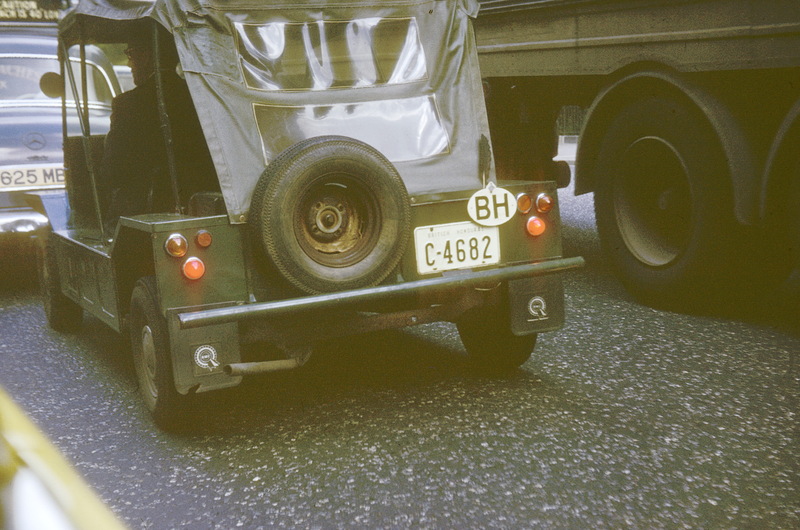 The bumper was missing on the later shot, by Vic Brumby in Notting Hill Gate a little later, below. 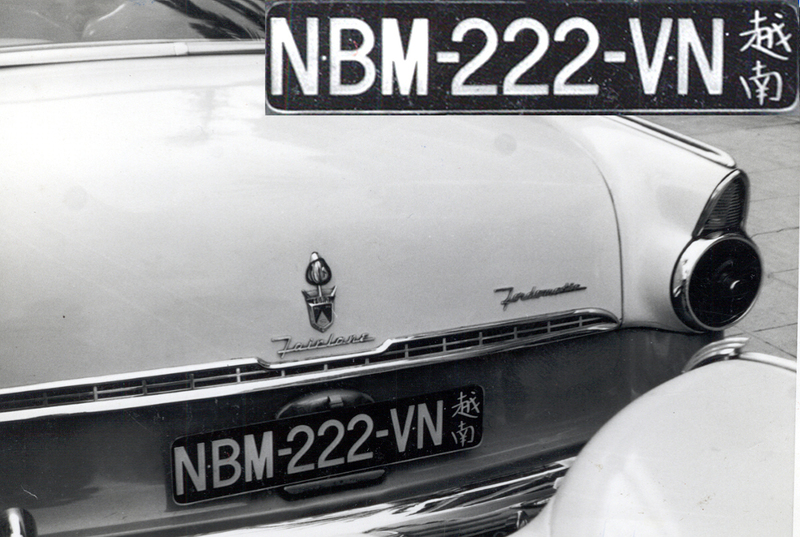 The owner told Vic Brumby, when questioned, that he was an ‘educational missionary’ and that his next posting was to Tchad. 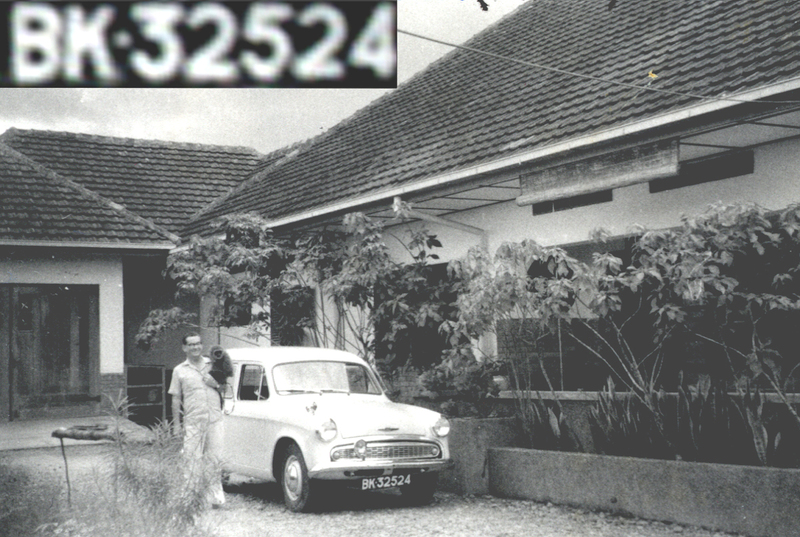 He gave me a picture of his car in his pre-Viet Nam posting – BK = Medan, Sumatra. 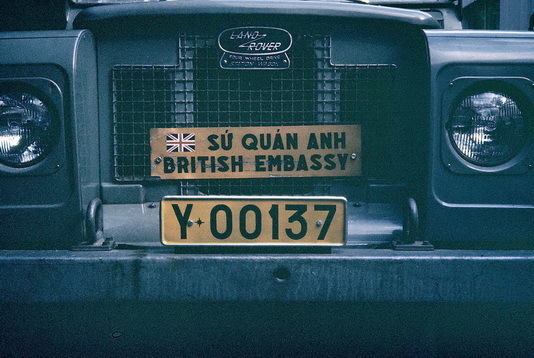 This was a well-travelled Hillman! 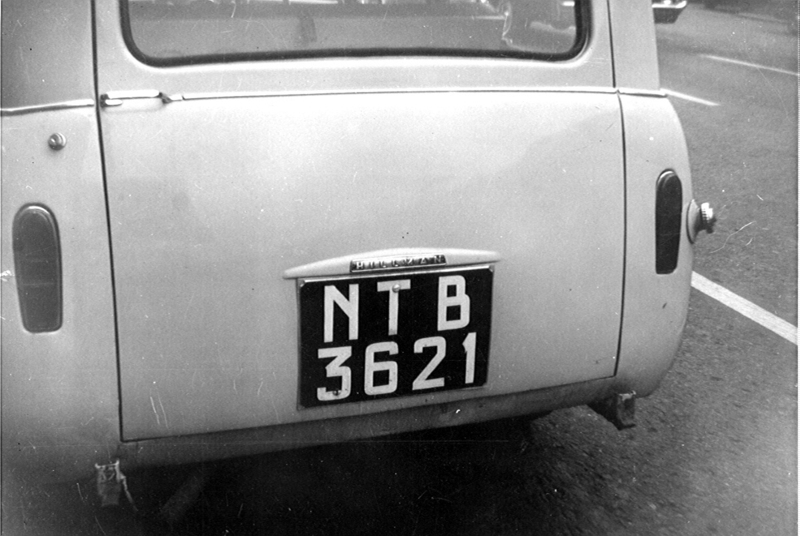 A well-travelled Hillman Husky in Medan, Sumatra (BK) before re-registering NTB 3621 in Viet Nam, then Tchad. 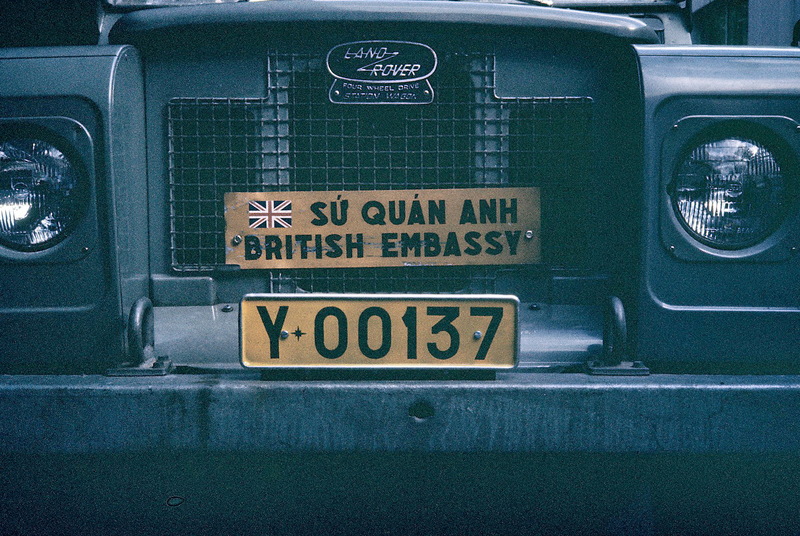 You are currently browsing the archives for the Viet Nam category.